A Conferência dos Bispos Católicos dos Estados Unidos (USCCB) chamou de "erro trágico" a decisão da Suprema Corte dos Estados Unidos em forçar o casamento gay para todos os 50 estados dos EUA. No texto, a USCCB diz basicamente que assim como a decisão pró-aborto da Suprema Corte em 1973 não decidiu que aborto é certo, esta decisão pró-gay não decidi o que é casamento. Pois as duas decisões não têm base na verdade humana. A decisão da Suprema Corte não muda absolutamente nada, o verdadeiro casamento é entre homem e mulher, inscrito na natureza humana, dentro do Plano de Deus, como reafirmou Jesus Cristo, e os cristãos têm de continuar a defender isso em todas as esferas. Cristãos estão Perdendo para Movimento Gay e Abortista? Ou Não? Uma mensagem de esperança e força. Se tem alguém que conhece a luta pela vida, pelo casamento, contra o aborto no mundo, dentro da ONU e fora dela, esta pessoa é Austin Ruse, líder do C-FAM (Center for Family and Human Rights). E ele diz que os cristãos estão vencendo a luta contra as esquerdas, mesmo após a decisão da Suprema Corte. O ponto principal dele é que os esquerdistas viram que não poderiam destruir o casamento pelos meios democráticos por isso apelaram para os poderes, a Suprema Corte. E ele termina dizendo algo como "se você acha que estamos perdendo e que nós cristãos vamos desistir da luta, você não conhece a gente". É um texto muito interessante, cujo foco são decisões sociais ocorridas dentro dos Estados Unidos. Para entendê-lo deve-se saber por exemplo que Roe vs Wade foi a decisão que aprovou o aborto nos EUA. Mas vale muito a leitura. O texto foi publicado na Crisis Magazine, vejamos parte do texto. He really believes that. He believes we are losing. Like many conservatives, my colleague cares about the social conservative issues, but cares more deeply about the other two legs of the conservative stool: economics and national security. And he is under the illusion those issues are doing better than ours, that those who work on those issues are somehow better and smarter and more savvy than the religious right. I contend first that the success of conservative economics and national security are due largely to the reliable foot soldiers of the Christian right. But more than that, working against greater odds than any other part of the coalition, social conservatives have been the most successful part of the conservative coalition. This seems counterintuitive given that abortion is the law of the land still and gay marriage may be imposed any day now. But it is true nonetheless. Economic conservatives are happy to note that taxes are lower today than they were before Reagan, but they also have to contend with the fact that the US government is bigger now and growing bigger every day. And regulation? Is there any area of our private lives the federal government does not see a role for itself? What about the social issues? We begin with Roe v. Wade. It is a solid rock. While social conservatives have been pretty wily in going around it, the only way to ultimate victory is right through it. This means moving the people, the US Senate, the president who appoints justices to the Supreme Court and ultimately the Court itself. Recall, that on the day it was handed down, the issue was declared closed and settled by the New York Times and by virtually all elites. Within society, within all the power centers of our time, within the Republican Party, and even within the conservative movement, elites left, right and center have opposed pro-lifers. Some would say the scenario that greeted pro-lifers that day in January 1973 was utterly impossible. Pro-lifers started out so deep in the hole hardly anyone thought they could dig out. The Supreme Court has upheld a ban on an abortion procedure. Courts have upheld state restrictions that have made it more difficult to get abortions and for abortionists to practice their grisly trade. We are on the cusp of 20-week abortion bans around the country. Most Americans now believe that most abortions should be illegal and the ground has been well prepared by pro-lifers so it will not surprise even pro-aborts when the Supreme Court overturns Roe. In fact, even some of their scholars openly admit Roewas badly decided. With marriage, it is much the same story. The gays began fulminating for faux marriage and they lost. They lost and lost and lost. They lost more than 30 statewide races. They only won three. So, what did they do? Like abortion advocates who knew they could not win in a democratic venue, they went to the courts. When you read this, it may well be they were successful there and the U.S. has become only the second nation to have faux marriage imposed by a court. To be sure, polls show that Americans overwhelmingly support faux marriage. But that was always so. Polls always showed us losing. That is even more evident now after people have seen what happens to people and their livelihoods if they are ever outed by the gay fascists. Even so with the exception of three elections, we won them all, even in liberal states like California and even during Democratic primaries when it was expected faux marriage supporters would have an advantage. Economic conservatives cannot say they are opposed by elites everywhere. Even some Democrats call for lower taxes and less regulation. Even so, their project has largely failed as government continues to increase in size and intrusiveness. Next time you are at a cocktail party in New York, DC or L.A. announce yourself as an economic conservative or for a strong national defense and you might get a debate but probably not. Announce your opposition to both abortion and gay marriage and you’ll be in for a fight and maybe a bloody nose. What is the lesson? Against impossible odds, against all the elites of our time, against all the powers of the earth, most Americans are still with us on life and family issues. I don’t know that economic or national security conservatives can say that. In fact, those folks can learn a thing or two from us. And for those who think we will fold our tents and flee if the Supreme Court goes crazy on marriage, you have no idea who we are. A Guerra está em todos os flancos, alguns cristãos reagem. Vejamos as últimas. 1) E começa a intolerância. Você achava que a aprovação do casamento gay favoreceria a tolerância? Jornais nos Estados Unidos já dizem que não publicaram nada que seja contra o casamento gay. 2) Hillary Clinton celebra e comemora fortemente a aprovação do casamento gay. Mas em 2002, ela disse que o casamento é entre homem e mulher. O que houve de lá pra cá? Ora, avanço do gayzismo na imprensa. 3) Casa Branca se pinta da bandeira arco-iris dos gays para celebrar a decisão da Suprema Corte. 4) Depois da aprovação do casamento gay, já começa a pressão por poligamia. Como eu costumo dizer aos meus alunos, se o amor é a justificativa para o casamento gay, por que não aprovar a poligamia, a pedofilia, o incesto e a bestialidade? 1) Coalizão de pastores negros dos Estados Unidos promete desobediência civil contra a aprovação do casamento gay na Suprema Corte. 2) Governador do Texas promete reagir à decisão da Suprema Corte, Greg Abbot diz que a Suprema Corte não pode agir como orgão legislativo e que Texas não aceita ataques à liberdade religiosa. 3) Candidato a presidente, Ted Cruz, disse que a decisão da Suprema Corte se insere entre a decisões mais negras da história dos Estados Unidos. Que dia triste! O Casamento Gay não foi e nunca será uma luta por casamento e amor. É luta contra Cristo. Vivemos uma guerra espiritual. E hoje o exército inimigo avançou. O processo de prender e calar qualquer cristão que questionasse o casamento gay já progredia, mas hoje a Suprema Corte do país mais rico do mundo aprovou o avanço do anti-cristianismo. E Hilairy Clinton, candidata a presidente no lugar de Obama, já responde a perguntas sobre se o governo vai pressionar com medidas tributárias para que as igrejas façam casamentos gays. Igrejas que não fizerem casamento gays perderiam status de instituição de caridade e pagariam mais impostos. Concordo em gênero e grau com Patrick Archbold, do site Creative Minority Report. Eles avançam, seremos ainda mais presos, perseguidos e mortos, mas nós não abandonamos a nossa esperança, pois Cristo está do nosso lado. Devemos continuar a luta na defesa Dele. 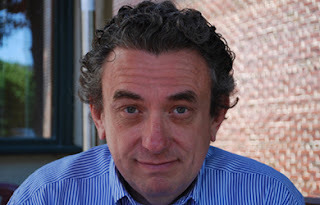 Vejam brilhante texto de Patrick Archbold. It is one thing to know the enemy is coming and try to prepare for it. But that doesn't make the moment when they come over the hill any easier. Today, they came over the hill. In a 5-4 ruling, "Gay Marriage" has been imposed nationwide. But "gay marriage" has never been about gays getting married, it is now and always has been about persecuting the Church. Not that they have this ruling, the persecution against Catholic and Christian organizations will begin in earnest. Institutions will lose their tax-exempt status, they will lose grants, they will be denied contracts, they will be denied building permits, and they will be denied speech. And all that is just the beginning. Hell hath been unleashed today and they will attack us with all their fury. This moment has been a long time in the making and now it is here. The persecution begins in earnest now. Christians in the United States will soon go to jail for no other reason than they believe and speak the truth as revealed by Jesus Christ and his Church. This has never just been a political battle, it has always truly been a battle with principalities and powers. This is the natural end of a supernatural battle in which we lost the faith and now must pay the price. But I assure you, what will result from this persecution is not what our enemies expect. The Church will triumph as a result of this coming persecution and they will never see it coming. We have been asked to have faith, take up our crosses, and make our way to the resurrection. 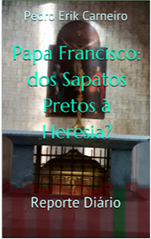 Catholic Herald: "Recomendações do Papa Fracisco são Péssimas para os Pobres"
Eu disse aqui que a encíclica Laudato Sí é ruim cientificamente e ruim teologicamente. Apela para argumentos científicos no mínimo controversos, para não dizer completamente falsos, e usa a teologia e a Doutrina da Igreja de forma equivocada para tentar "ajudar os pobres". Bom, o famoso articulista do jornal inglês Catholic Herald, William Oddie, disse exatamente isso que eu estou falando. Lembrando, como eu também faço, que há 18 anos o mundo não tem aquecimento global (na verdade, muitos cientistas já falam em um período de esfriamento global). Faltou apenas lembrar o que eu costumo ressaltar, o movimento climático está eivado de fraudes científicas. 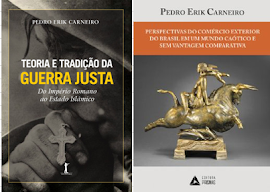 É muito bom ver um jornal católico, que costuma ser bastante fiel à Igreja e até protege o Papa de suas próprias declarações, mostrar fatos básicos do movimento ambientalista. Oddie comparou o Papa Francisco como Al Gore, com sua retórica explosiva e falsa sobre meio ambiente. Oddie diz que os católicos não devem considerar a Laudato Sí como parte da Doutrina Social da Igreja, apesar do Papa dizer que faz parte. Vejamos parte do ótimo artigo de William Oddie. Cliquem no link, para ler o texto completo. The fact is that if we really care about feeding the poor, environmentalist fads like the global warming obsession destructively divert our attention from what should be our real priorities. 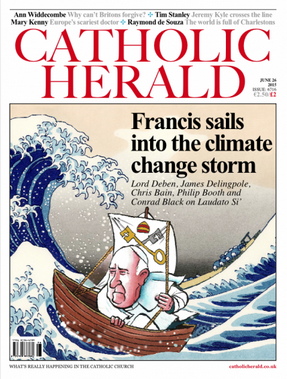 This is true of other environmentalist nonsense, like the campaign against Genetic Modified (GM) foods (by which millions of the poor have been saved from starvation), a campaign by which the Pope has also clearly been strongly influenced in Laudato Si’ (§§ 133-4): he has, it seems become a fully-fledged green. 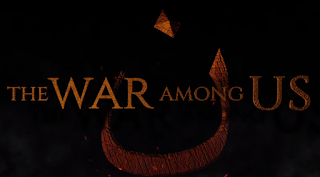 Trailler Documentário: The War Among Us. Sobre os Católicos (Caldeus) do Iraque sob ataque do ISIS. 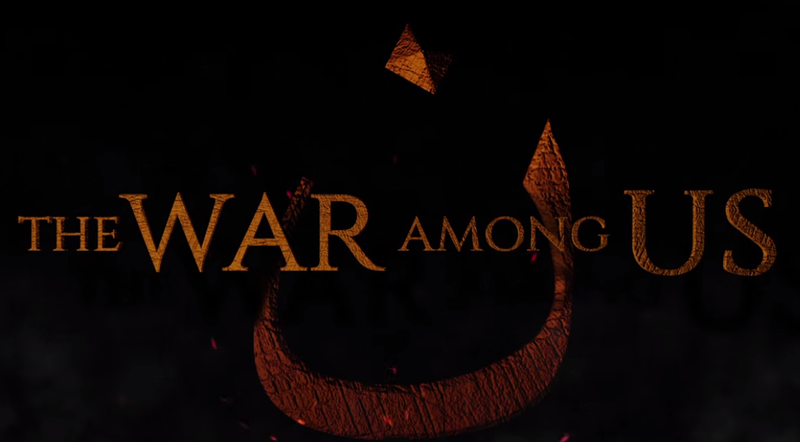 Logo início do vídeo do documentário War Among Us, um padre diz: "Esta guerra contra o Islã não terá fim, pois não é uma guerra contra o comunismo ou por armas, é uma guerra sobre a fé". Outro diz um pouco depois, não tem futuro atualmente de cristãos no Iraque, apesar de os cristãos terem vivido lá por mais de mil anos, muitos morreram e fugiram." Outro revela que tem primos presos pelo Estado Islâmico, que exige resgate de milhares de dólares. Finalmente, um padre diz: "O Ocidente deve entrar em guerra contra o Estado Islâmico"
Aqui tem uma descrição do documentário. Vejam vídeo abaixo. Está em inglês, tem legenda também em inglês, mas a legenda não é muito boa, perde-se algumas palavras. Congresso sobre Família em Curitiba. 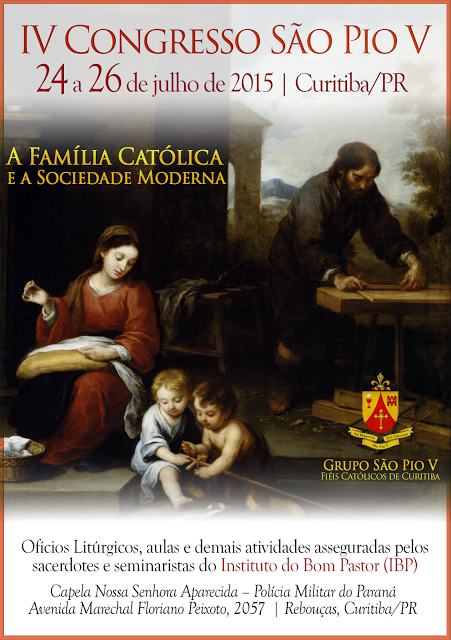 Em tempos de crise na família, em que aqueles que lutam para "chegar ao céu mais limpo" com o amor de seus cônjuges enfrentam até as palavras do Papa (ver post abaixo), é importante discutir como a Igreja pode enfrentar e defender a Sagrada Família em tempos tão adversos. Vejam o cartaz acima de um Congresso em Curitiba do Instituto Bom Pastor. Agradeço a informação ao meu amigo, leitor do blog, Adilson. As Palavras Mais Cruéis e também Benéficas do Papa Francisco. Parece uma contradição considerar que palavras possam ser ao mesmo tempo cruéis e benéficas. Bom, em certas situações define-se crueldade erradamente, quando por exemplo, um pai ou uma mãe dizem palavras severas aos seus filhos para que eles sigam no caminho correto. Ou quando se faz guerra. Santo Agostinho disse que uma guerra pode ser benéfica. Mas quando as palavras são realmente cruéis, mesmo que possam ser benéficas, elas deve ser evitadas. "Às vezes a separação pode até ser moralmente necessária para tentar proteger o cônjuge mais fraco ou as crianças das feridas causadas pela arrogância, violência, humilhação, estranheza e indiferença. À nossa volta, vemos diversas famílias em situações ditas disfuncionais, não gosto desta palavra, - e colocamo-nos questões: como ajudar? como acompanhar a situação de modo a que a criança não se torne refém do pai ou da mãe?..se as feridas não cicatrizam, elas pioram e se transformam em ressentimento e hostilidade, que recai sobre as crianças". Parecem ser palavras compreensivas, de caridade, não é? Mas veja, qualquer relacionamento é, como se diz em uma música muito bonita, "subir uma montanha". É difícil, é penoso, passa por momentos difíceis. Imagine um casal católico em crise hoje lendo estas palavras do Papa, você acha que elas ajudam na reconciliação? 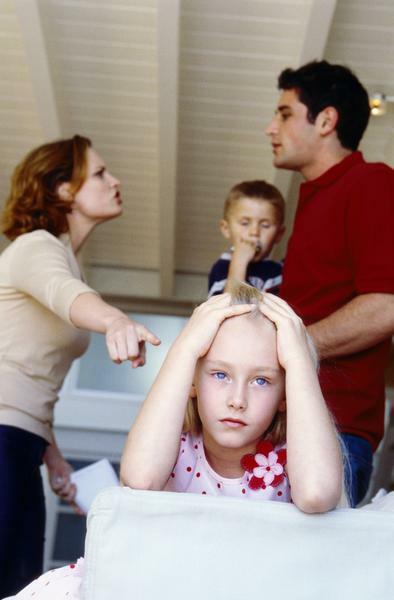 Você acha que uma criança vai gostar que os seus pais leiam estas palavras do Papa e se estimulem a divorciar? Por isso que apesar de parecer óbvio e caridoso o que o Papa disse, nenhum Papa jamais falou isso, jamais ressaltou a possibilidade de separação, porque eles pensam naqueles que lutam para manter a família. Porque eles sabem que toda família luta diariamente para se manter firme. Porque eles sabem que estas palavras do Papa podem ser muito cruéis, apesar de ter o efeito benéfico em uma família que realmente não tem mais jeito. Eu sempre digo "rezemos pelo Papa Francisco", mas agora peço: "rezemos pelas famílias". Papa Francisco Condena Quem Produz e Vende Armas. Mas Cristo Produziu e mandou Comprar. O Papa Francisco realmente é um homem confuso em suas ideias. Como eu costumo dizer, ele é um típico padre latino-americano, aquele que não se interessa por conhecer a teologia e a Doutrina da Igreja, confia sempre em palavras como "Deus é Misericórdia", "Deus é Amor", daí, quando se arrisca a comentar qualquer assunto, o risco é grande de dizer algo completamente estranho e averso ao que a Igreja prega há séculos. Ontem, novamente, o Papa Francisco resolveu falar de armamentos e falou bobagem. Perdão, mas não tem palavra para definir. Se ele fosse um político, eu usaria palavras ainda mais fortes. Além de dizer bobagem, ele se contradisse em intervalo de poucos minutos. Vejamos, ele disse que aqueles produzem armas não podem se considerar cristãos. Em seguida, disse que os aliados na Segunda Guerra deveriam ter bombardeado as linhas de trens dos nazistas que carregavam judeus, cristãos, gays e ciganos para a morte. Bom, para a primeira afirmação, de que aqueles que produzem armas não podem ser chamados cristãos, o site Manhound´s Paradise lembrou muito bem que o próprio Cristo produziu arma ao juntar cordas e fazer delas chicotes para afastar os mercadores do templo (João 2:15) e que o próprio Cristo mandou que os seus discípulos comprassem armas (Lucas 22:36). Sobre a segunda afirmação, depois de condenar a produção de armas, o Papa se posicionou como estrategista militar, queria que os aliados bombardeassem os trilhos de trem nazistas. Sobre isso, muito se discute quando os aliados souberam dos campos de concentração. Talvez por volta de 1943, mas só em julho de 1944, os soviéticos entraram no primeiro campo de concentração nazista. Os americanos entraram no primeiro campo de concentração em abril de 1945. Os campos de concentração ficavam em geral dentro da Polônia ou próximo da fronteira da Polônia. Isto é, longe, muito longe do avanço das tropas aliadas, mas próximos do avanço do soviéticos. Para que fosse possível despender homens e armas para destruir os trilhos, os aliados teriam que enfrentar horas de artilharia anti-aérea nazista. Em suma, uma loucura de estratégia militar. Mas se o Papa condena a produção de armas, deveria condenar o uso delas. E sobre a condenação de armas e militares não há nada na Bíblia que apoie isso. Pelo contrário, Cristo saudou a fé de um militar, como a maior fé que Ele encontrou. Todo dia na missa nós lembramos esta passagem da Bíblia: "Não sou digno de que entreis em minha morada...". Sem falar na presença de soldados romanos entre os cristãos, desde o início.Sem falar nas guerras que a Igreja patrocinou e apoiou durante a sua longa história, sem falar nos papas militares (alguns foram para frente de batalha), sem falar na teoria da guerra de justa de Santo Agostinho, São Tomás de Aquino. Sem falar que São Francisco de Assis foi para frente de batalha em apoio às Cruzadas e discutiu pessoalmente com o sultão muçulmano em favor dos cruzados. O site Weasel Zippers, cujo dono é um católico, simplesmente colocou as duas frases do Papa Francisco uma do lado da outra e perguntou se as coisas estavam muito confusas atualmente na Igreja. A resposta é simples: sim, estão. Realmente, o Papa Francisco disse bobagem. Ele deveria reconhecer isso, pois é também uma questão de caridade com os militares, com aqueles que produzem armas e com a própria Doutrina da Igreja. Como diz Deus, em Gênesis, tudo que está no mundo a disposição do homem é bom, o problema é como o homem usa estes bens, incluindo as armas. Vídeo: O Avanço (e Retrocesso) do Cristianismo desde Cristo. É um vídeo fantástico, que mostra o caminho da Palavra de Cristo, ao longo da história. O cristianismo começou em uma pequena província romana e se espalhou primeiro para lugares como Síria, Turquia, Egito, Iraque, Irã e Índia. Hoje, o berço do cristianismo vê a expulsão de cristãos. 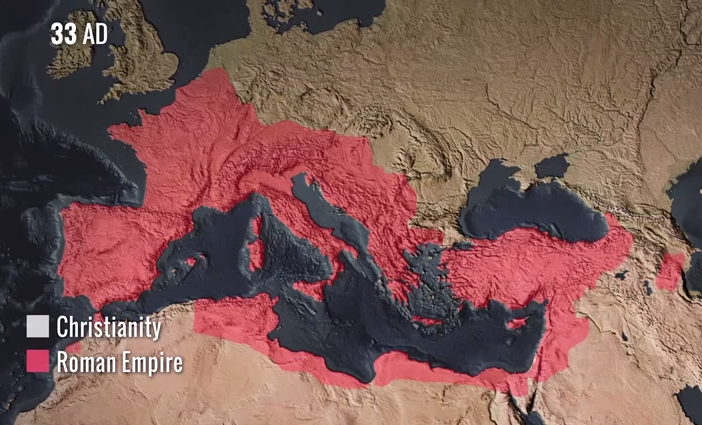 Daí, o cristianismo chegou a dominar o Império Romano. Chegamos muito tarde à Inglaterra e muito mais tarde ainda ao Brasil. Sofremos no passado e continuamos sofrendo com Islã. O Islã, quando nasceu, saiu destruindo o cristianismo por onde passou, até chegar no coração da Europa. A Europa conseguiu controlar e expulsar o Islã de lá no passado, será que continuará agora? Hillaire Belloc disse que a Europa é a Fé, e a Fé é a Europa. Ele lembrou que não estava dizendo que o cristianismo só existe na Europa, pelo contrário, ele estava dizendo que a Europa só existe se for cristã. Nós, da América, também só existimos se formos cristãos. Caso contrário, seremos tribos. Bom, é arriscado e por vezes não caridoso colocar em oposição um Papa e um cardeal. Mas por outro lado, serve para alimentar o debate, pois tanto um Papa (sucessor de São Pedro) como um cardeal (príncipe da Igreja) são na verdade apenas membros do Corpo Místico de Cristo, do qual eu e qualquer católico também faz parte. A opinião, não doutrinária, de um Papa tem um peso e uma sabedoria que pode ser menor do que a de um cardeal ou mesmo de um leigo. Ontem tivemos a divulgação da Laudato Sí, do Papa Francisco. Eu não gostei, expus minhas divergências aqui. Li depois muitos comentários a favor e contra. Geralmente os que dizem que gostaram selecionam detalhes da Encíclica como quando o Papa defende a relação da ecologia com a defesa da vida humana ou quando o Papa colocar o homem dentro do processo criador de Deus. Eu acho que quem gostou separa pedaços e esquece o tom do documento. O tom do documento é ruim, é ruim cientificamente, é ruim teologicamente. Mas claro que há pedaços bastante louváveis. Hoje, eu leio como o cardeal Donald Wuerl acha que a Igreja deve ver a relação entre defesa do meio ambiente, progresso econômico e o ser humano. Wuerl fala bem menos anti-capitalismo do que a Laudato Sí. O texto também traz o que pensa o cardeal Peter Turkson. Turkson, eu diria, tem um tom e viés mais próximo do Papa Francisco. Ele quer eliminar a produção de energia por combustíveis fósseis, diz que o mundo estará "arruinado" se continuar usando este tipo de combustível, dentro da lógica do que pensa a ONU, que o homem é o causador da mudança climática por emitir gás carbônico. Estamos há 18 anos sem aquecimento global, e neste período se usou ainda mais este gás, sem falar que a Terra sofreu aquecimentos quando o homem não usava combustível fóssil. E sem falar que as plantas se alimentam deste gás. 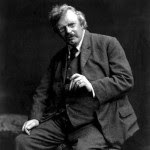 Lendo o texto, você pode achar que não há diferenças entre o que os cardeais e o Papa falam, mas como dizia Chesterton um pequena diferença de opinião pode significar um abismo de conclusões. É o caso, para mim. Eu acho que o mundo estará arruinado se continuarmos na trajetória de ódio a Cristo e não em usar combustível fóssil. O texto é do jornal The Catholic National Register. Vejamos algumas partes. In an international forum on economic growth and environmental sustainability, Catholic leaders and experts in the field argued that, rather than being opposed, the two go hand in hand and can lead to greater prosperity. ROME — In an international forum on economic growth and environmental sustainability, Catholic leaders and experts in the field argued that, rather than being opposed, the two go hand in hand and can lead to greater prosperity. “There is an increasingly clear harmony between efforts on behalf of the environment and those that promote integral — including economic — human development. This is the ‘human ecology’ to which our efforts must contribute,” he said. He referred to the issue of sustainable development as a “sign of the times” and said that, in addressing it in his upcoming encyclical — set to be published this summer — Pope Francis is following in the footsteps of his predecessors, beginning with Pope St. John XXIII in his revolutionary encyclical Pacem in Terris (Establishing Universal Peace in Truth, Justice, Charity and Liberty)at the height of the Cold War. Blessed Paul VI also gave heavy attention to the social and political changes of his time in his encyclical Populorum Progressio (The Development of Peoples), while St. John Paul II provided the encyclical Centesimus Annus (The 100th Anniversary of Rerum Novarum) as a reminder of the Church’s social teaching amid a time of societal transition, particularly in Europe. 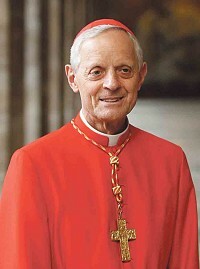 In his encyclical Caritas in Veritate (Integral Human Development in Charity and Truth), Benedict XVI connected fraternal and ecological development, as well as the environment and the development of people and technology, Cardinal Wuerl noted, saying that Francis is continuing their work. In his opening address for the event, Cardinal Turkson said, “God has done great things for us” in creating the world and giving humanity charge over it. Cardinal Turkson spoke with CNA after his speech, saying that the current dependence of fossil fuels “does a lot of damage to the environment” and is a key point of contention in the debate surrounding economic growth and environmental development. Rather than calling this fear a threat, the cardinal said that “it’s a challenge” and that, when referred to in this way, it invites all parties to consider the various opportunities that could come from a shift away from such potentially damaging forms of energy. He recalled how the Industrial Revolution of the mid-1800s opened up new avenues for humanity to discover how to satisfy their needs, but that the energy for the growth which boomed during those years was taken from whatever was available at the time. Já Publiquei sobre o Assunto. O que Penso sobre a Encíclica Ecológica? Não li nenhuma análise e fui ler diretamente a Encíclica Laudato Sí do Papa Francisco divulgada hoje e que trata de ecologia. O que eu penso da encíclica? Primeiro cabe dizer que eu me posiciono como capaz de falar sobre o assunto, não porque sou climatologista, mas por ter estudado a tal "mudança climática" por 5 anos, ter viajado para diversos países para debater o tema, e ter publicado dois artigos no exterior que têm relação com o assunto. Eu diria que a principal qualidade da encíclica é que ela não acrescenta nada ao debate, ao não ser no fato que um Papa escreveu sobre mudança climática. O grande defeito para mim é que o Papa Francisco dispendeu enorme esforço em um assunto morto diante de tantos problemas que os cristãos sofrem hoje em dia. 6. My predecessor Benedict XVI likewise proposed “eliminating the structural causes of the dysfunctions of the world economy and correcting models of growth which have proved incapable of ensuring respect for the environment”. He observed that the world cannot be analyzed by isolating only one of its aspects, since “the book of nature is one and indivisible”, and includes the environment, life, sexuality, the family, social relations, and so forth. It follows that “the deterioration of nature is closely connected to the culture which shapes human coexistence”. Pope Benedict asked us to recognize that the natural environment has been gravely damaged by our irresponsible behaviour. Acho que o Papa Francisco não entendeu corretamente o que disse o Papa Bento XVI, Bento XVI estava ressaltando a necessidade de se olhar o homem quando se discutir meio ambiente e não em reconhecer que nosso comportamento tem prejudicado o meio ambiente. O Papa não deveria ter falado em "aquecimento". Estamos há 18 anos sem aquecimento no planeta Terra, ao contrário do que previu a ONU diversas vezes. Aliás, ele deveria ter falado dos erros enormes de previsão, sem falar nas fraudes. Além disso, ele deveria ter lembrado que o aquecimento tem fatores benéficos. E também que não é consenso a culpa humana. Mas ainda bem que ele falou de outros fatores que podem levar à mudança climática. Ufa. Acho que se você vai criticar as convenções internacionais por considerar que elas se movem por interesses financeiros e tecnológicos, você deve apontar uma solução. Além disso, em que situação um debate não tem interesses envolvidos? 61. On many concrete questions, the Church has no reason to offer a definitive opinion; she knows that honest debate must be encouraged among experts, while respecting divergent views. But we need only take a frank look at the facts to see that our common home is falling into serious disrepair. Finalmente, a encíclica tem o grande defeito de reforçar uma imagem equivocada de São Francisco de Assis, que seria bonzinho que ama passarinhos. Enquanto o verdadeiro São Francisco enfrentou o Islã de peito aberto, defendeu as Cruzadas, sofreu estigamata, fez exorcismo de uma cidade inteira, defendeu a Igreja sempre. Será que o Brasil não precisa também de um exorcismo desse? O cardeal Juan Sandoval Íñiguez se juntou ao arcebispo Jesús Carlos Cabrero e ao famoso exorcista espanhol José Antonio Fortea e fizeram uma cerimônia de exorcismo à portas fechadas na Catedral de San Luis Potosi em favor do México no dia 20 de maio passado. Isto mesmo, eles fizeram um exorcismo para livrar todo o México da influência demoníaca. Padre Fortea lembrou o precedente de que São Francisco fez um exorcismo de uma cidade inteira (Arezzo), que estava passando por uma guerra civil. Quando eu estava no seminário. na semana passada, havia um filósofo mexicano por lá. 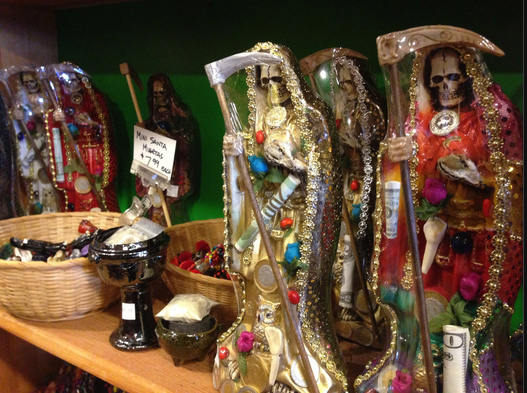 E eu resolvi perguntá-lo sobre o culto à Santa Muerte (foto acima) no México. Eu tinha lido vários artigos que relatavam da influência maligna deste culto no México, que o próprio Vaticano havia condenado. Ele respondeu que não tinha problema nenhum que o povo era muito católico. Daí eu perguntei sobre o a Guerra Cristero, e ele também respondeu que o povo mexicano não apoiou as decisões contra a Igreja naquela época. Bom, eu achei as respostas dele insatisfatórias. E parece que algumas altas autoridades clericais no México concordam comigo. Vejam abaixo parte do relato do National Catholic Register sobre o Exorcismo no México, que foi motivado pela enorme onda de violência no país e pelo aumento do número de abortos. Leiam todo o texto clicando no link. 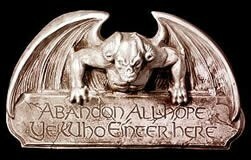 When an Entire Country Becomes Infested With Demons, Catholics Exorcize. 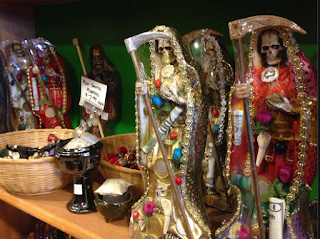 VATICAN CITY — Can a country with deep Christian roots like Mexico find itself at the mercy of demons? Some in the Church fear so. High levels of violence, as well as drug cartels and abortion in the country, were the motivation behind the special rite of exorcism, known as exorcismo magno (the great exorcism). Cardinal Juan Sandoval Íñiguez, the archbishop emeritus of Guadalajara, presided at the closed-door ceremony, the first ever in the history of Mexico. Also participating were Archbishop Jesús Carlos Cabrero of San Luis Potosí, Spanish demonologist and exorcist Father José Antonio Fortea and a smaller group of priests and laypeople. “To the extent sin increases more and more in a country, to that extent it becomes easier for the demons to tempt [people],” Father Fortea told CNA. “This rite of exorcism, beautiful and liturgical, had never before taken place in any part of the world. 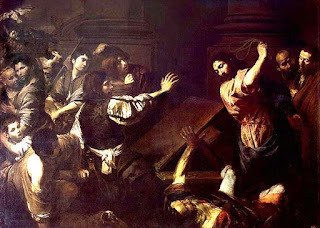 Although it had taken place in a private manner, as when St. Francis [exorcised] the Italian city of Arezzo,” he stated. Vídeo: Imã "ensinando" Matar Judeus em Jerusalém.